Recently, a research report published in the international magazine EMBO Molecular Medicine, scientists from the Barcelona Institute of Biomedical Research discovered a new mechanism that can promote inflammation-related colon cancer, and the mechanism also can help develop new cancer therapies as a new target. More than 1 million people worldwide are diagnosed with colon cancer each year. Although many cases are spontaneous, chronic inflammation is also a major cause of colon cancer. Researcher Angel R. Nebreda said that the capability of myeloid cells enhance tumorigenesis may be determined by the p38 protein; in the article, the researchers studied genetically engineered mouse models of acute and chronic inflammation or mouse models treated with pharmacological inhibitors. In addition, the researchers also identified an important contribution of the hormone IGF-1, which is activated by p38 in myeloid cells. IGF-1 is a hormone similar to insulin. It can be used as a potential therapeutic target in inflammatory-related intestinal diseases. IGF-1 is superior to previous research detection method which detects the level of inflammatory infiltration in living tissue. The results of this study can also help solve the problem of low success rates caused by the use of p38 pharmacological inhibitors in clinical trials of patients with inflammatory bowel disease. Researcher Catrin Youssif said that inhibition of p38 in myeloid cells can specifically protect mice from inflammatory-associated colon cancer, and the protective effects are also directly related with the lower levels of inflammatory chemokines in the body, which are important for recruiting cells from the immune system. 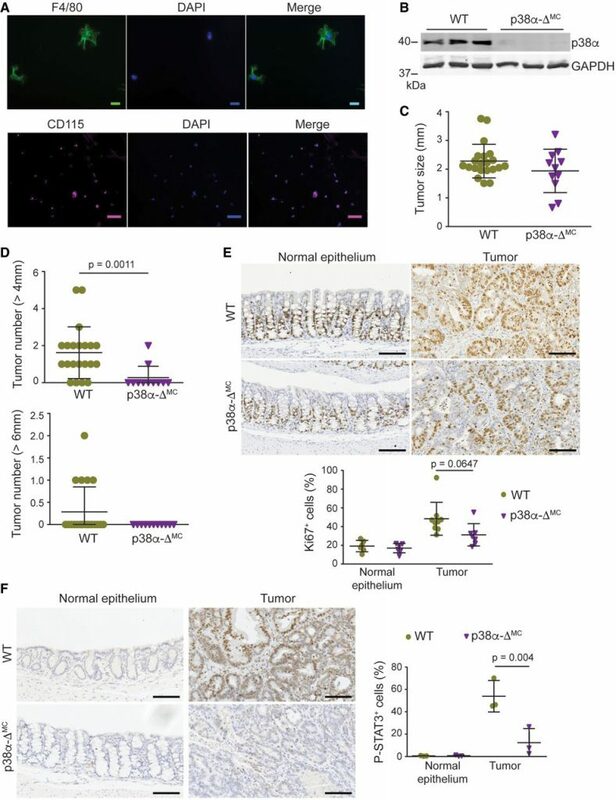 The researchers point out that the hereditary or pharmacological inhibition of IGF-1 inhibits the recruitment of inflammatory cells and reduces the burden on patients with inflammation-related colon cancer. Based on the results of this study, the researchers believe that the development of new targeted therapies may also consider the inflammatory status and IGF-1 levels in the biopsy tissue of patients with inflammatory bowel disease or colitis-related cancer. ← What’s the Future of Biosimilar Drugs Development?